Commercial landlords take note – “green” office buildings have clear occupancy benefits as well as being cheaper to run, a new report has found. Colliers International’s latest report looks at “green” office buildings in Auckland and Wellington and finds they have higher occupancy rates than office properties in general. 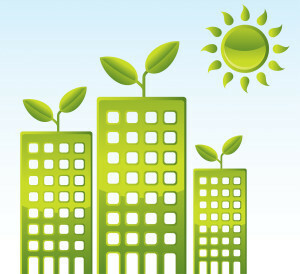 New Zealand now has over 150 buildings and fit-out projects certified by the NZ Green Building Council. Of those two-thirds are in the commercial office sector, with around 40% in Auckland. Colliers International director of research Chris Dibble says this is a sizeable amount to analyse in order to see some of the benefits of “green” buildings for investors. “Occupancy is a key investor concern, simply because if there is no tenant, then there will be no rent and capital values will be lower. In all three major office markets surveyed, Colliers’ research found the vacancy rate was significantly lower for Green Star rated buildings. In the Auckland CBD, the overall vacancy rate was 6.2%, but Green Star accredited premises had a vacancy rate of just 3.4%. Outside of the CBD, the overall Auckland metropolitan vacancy rate was 6.1%, as compared to 0.5% for Green Star buildings. In the Wellington CBD, the overall vacancy rate was 7.7% but there was no vacancy in Green Star buildings. Dibble says this is not only a recent trend and that Green Star rated buildings often provide better occupancy rates than the overall market over the whole life of the building. “There is also evidence that there is a shorter lease-up timeframe for Green Star rated premises.